ABOUT Wahlstedt Quality Homes - We have successfully built hundreds of new houses for families and investors. 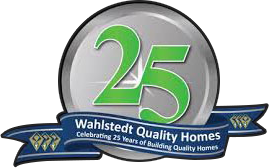 Over the past 25 years, Wahlstedt Quality Homes has successfully delivered hundreds of new dwellings, on budget and to the standard our customers throughout South Australia expect. Fiercely dedicated to providing our clients with rewarding building experiences, we support them throughout the entire journey, from concept to completion. We understand that building a new home is the single largest investment our clients are ever likely to make. That is why it is so important to enjoy the experience and get it right the first time. The long-standing and solid relationships we have developed with our suppliers and sub-contractors means that our clients can choose from a broad range of reliable, quality products and services. Our 6 HIA Awards reflect the high standard of work we produce. would expect, we certainly don’t expect it to be up to yours.